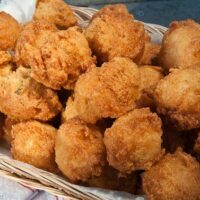 These Hush Puppies (Jalapeños Optional) are a flavorful, fried ball of seasoned cornbread traditionally served with fried seafood. Adding the jalapeños will produce some “ooh-la-la” you will like! Do you like jalapeños on your pizza? How about your burgers? Maybe in your cheese rolls? Have you tried them in a pot of beans? My Texas-born-and-raised friends seem to like jalapeños in just about everything. Personally, I prefer the aftertaste more than the initial squirt. So you might catch me putting sliced jalapeño peppers on my nachos, baking them, and then removing the pepper just before popping them into my mouth. Did you know you can freeze fresh jalapeños? 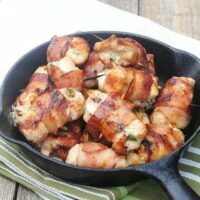 Place them in a zippered plastic bag and freeze whole. You could seed and chop them first. However, it’s not a prerequisite. Fresh jalapeños tend to be milder, although they can vary. Pickled jalapeños packaged in a glass jar are usually spicier but again, may vary according to the brand and label. Bear this in mind when deciding whether to use fresh or canned jalapeños. 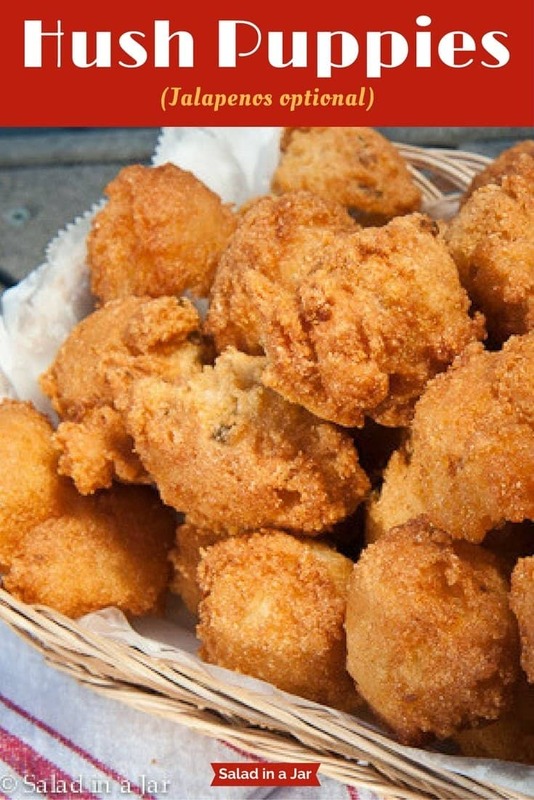 Jalapeño Hush Puppies pair nicely with any fried fish. Try them with Really Crunchy Fried Shrimp. They were a hit, disappearing as fast as I could cook them at our last New Year’s Day party. P.S. These are really good without the jalapeños. I usually make some with and some without. These hush puppies are fairly basic until you add jalapeños. Ooh-la-la! Combine cornmeal, flour, salt, soda, and baking powder in a large bowl. 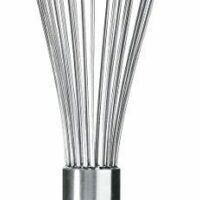 In separate bowl, whisk egg and buttermilk, whey, or milk/yogurt. Stir in chopped onion. Using a light touch, merge the liquid ingredients with the dry just until moistened. Batter should be rather thin. Allow to sit while oil comes to temperature, about 350 degrees F.
Use a small spring-loaded ice cream scoop to drop balls of batter into hot oil. Cook until golden brown all over and cooked through. If oil is too hot, puppies will brown before cooked in the middle. If oil is too cool, they will take a long time to get brown and absorb a lot of grease, so try to keep it constant. Divide this into smaller portions and freeze. Fabulous for burritos, salads and served over rice. Quick snack using flour tortillas, cheese, and jalapeños. 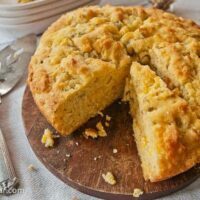 You must try this cornbread if you like jalapenños. Slightly sweet with a super buttery crust. I am impressed with the way your hush puppies look. In the interest of keeping the temp of the oil at the right place, how many hush puppies at a time would you probably cook in a 10″ skillet or pan? A skillet? 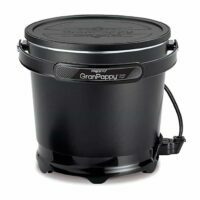 It would need to be a pretty deep one because you don’t want the hushpuppies to touch the bottom when you drop them in. Better to use a saucepan or deep fryer. How many you can put in at a time also depends on your heat source and how quickly it can bring the heat back up to 350. 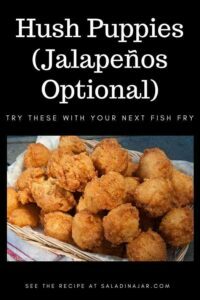 Paula I just made hush puppies for the first time almost like these minus the jalapeño. I’m like you I rarely fry anything so I will keep this recipe in mind the next time we fry some catfish up. I normally don’t like hush puppies but homemade ones were so much better than any place I’ve had them before :). 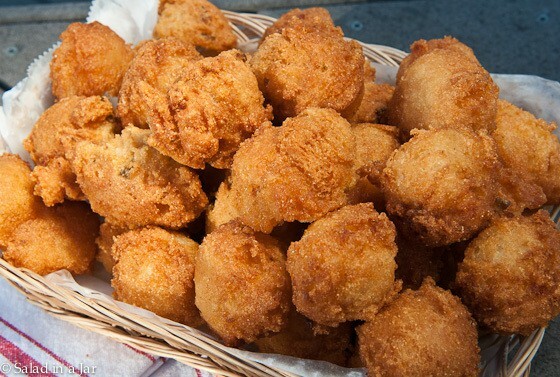 Hushpuppies I love, especially with seafood. I usually use a mix though, but next time I’ll try yours. Ever since my son moved to Texas, he’s been loving the jalapenos. Does that come with the territory? 🙂 I’ll take mine without thanks! Will this taste as good with yellow cornmeal? 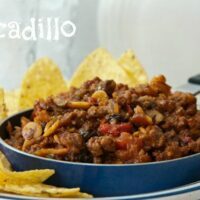 I would imagine it would taste great, but the texture will be a little different–somewhat coarser but certainly not bad. OH, these look good. 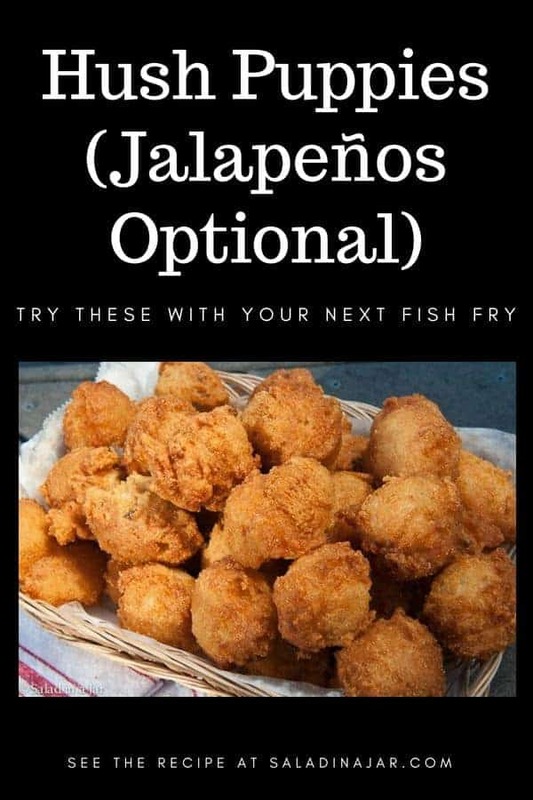 Love me some hush puppies … with and/or without the jalapeno peppers. Because of Fukushima, I’m avoiding all seafood from the Pacific region, which means most of the shrimp sold in the USA. I’ll be glad when our NC shrimp begin to come in from the Atlantic! Thanks Gary. You got me to thinking about the source of our shrimp. Think what we get is from the Gulf. BTW, I’m trying your Tibetan Pan Bread today. Sounds interesting! LOL … Just made that bread this morning .. because I had no bread! But, seriously … I’m worried about our oceans .. they are the lungs of our PLANET … Not even sure I would want Gulf shrimp … considering “chemicals” pumped into it after oil spill. Before it was a holiday destination and all condos, my family and I always vacationed at Gulf Shores, AL. Every day we’d catch and eat “CRAB.”Would NOT do that now. Honestly, I’m worried about this. I’m also talking to other bloggers. This is our Food Chain. Too many conflicting reports. Radiation is radiation. No such thing as a “safe amount.” Let me know what you think.